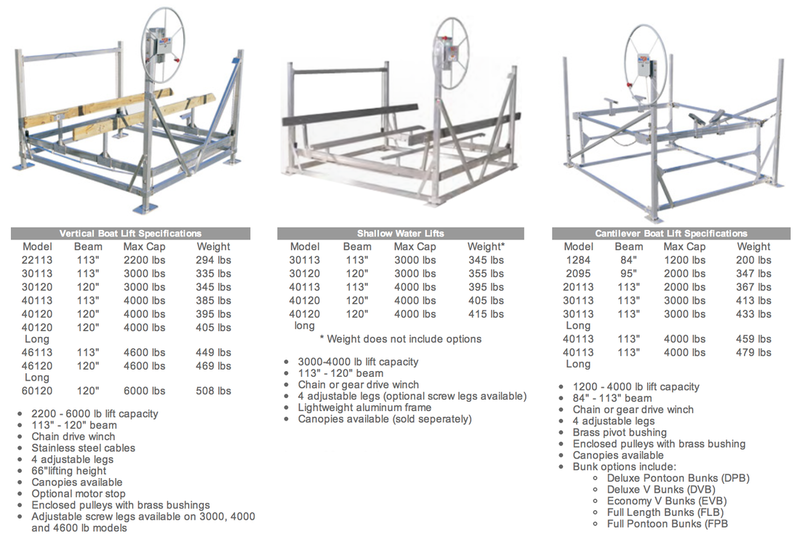 Mulhair’s Inc offers a complete line of maintenance free aluminum boat lifts and pontoon lifts. 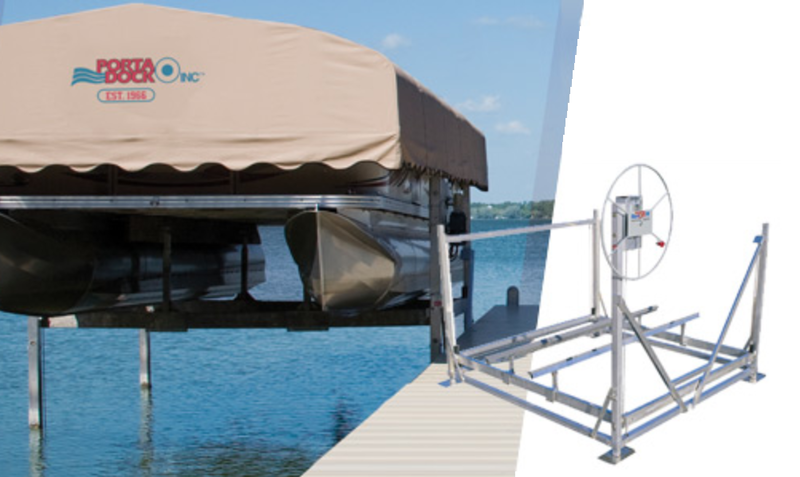 Our lifts are designed and engineered with features that make each lift work with your particular boat or pontoon. Constructed of high quality marine alloy aluminum for maximum strength and durability, our lifts are rustproof, corrosion resistant, and unaffected by weather conditions and uv rays. Mulhairs Inc is an authorized dealer of Porta-Dock for South Dakota, Iowa, and Western Minnesota.